Of all the circuits on the current Formula One calendar, Monza may be the one that strikes the most emotion into visitor’s hearts. Monaco may have its iconic status, and Spa-Francorchamps might have ferocious corners, but Monza has the history and heritage to really bring out the best of the sport. Known as La Pista Magica, the surrounding woods, the nearby banking and the familiar track layout stir the emotions of anyone who attends. 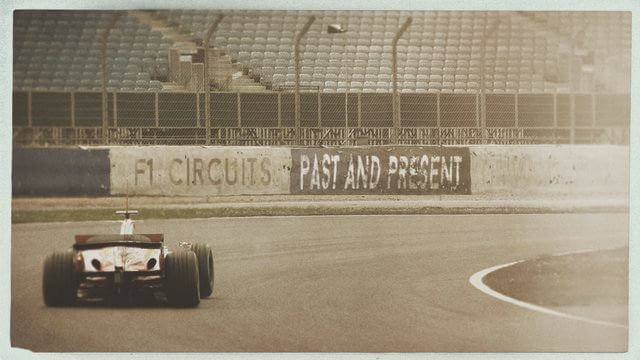 The circuit has hosted every single Italian Grand Prix, except for the 1980 race which was held at Imola. The track has varied between the full circuit and the road course, but Monza has been the Italian home of F1 since the championship began in 1950. Set in the parklands of Monza, the track was originally built in 1922, as an oval track with a slightly longer road course included, both combining to create a 10 kilometre challenge. In the 1950s, the track was redesigned with the loop becoming a top of the range high speed oval, with steep banking at the corners. The road section remained, with F1 racing along the full 10 kilometres on four occasions. Naturally, concerns about the safety of reaching such high speeds, flat out, along the banking grew and a particular incident caused consternation. In 1961, Wolfgang von Trips collided with Jim Clark, and his car became airborne, heading into the barriers and towards the crowd. Trips was killed, along with fifteen fans. Afterwards, Formula One bosses opted not to use the full track but to remain on the twisting course instead, with further safety improvements made for the following season. Although there have been driver deaths at various tracks across the sport’s history, they are more keenly felt at Monza. The banking was last used in the late 1960s and over the years, the banking fell into disrepair. Now it sits just metres away from the track, crumbling. In 2014, the surface of a stretch of the banking was improved with a fresh layer of concrete – causing debate over removing the nostalgia of visiting the original banking versus keeping the structure alive for future generations to admire. With history just moments away from the modern track, it’s understandable that emotions can run high during a race weekend. The Italian fans, particularly supportive of their local Ferrari team, just add to the excitement with their own brand of fervour. Although the layout is no longer an oval, speeds are still high around a lap of Monza, with full throttle in use for most of the track, and just the occasional braking zone for a chicane to keep drivers in check. Chicanes were introduced in the 1970s to attempt to slow the cars down, but it didn’t really work as well as hoped. The chicanes have been tweaked occasionally, but it still remains the fastest of the modern F1 tracks. Most of the subsequent improvements focused on improving safety instead, with better barriers and more run off area wherever possible. Monza doesn’t only host Formula One racing, it’s also a crucial stop on the calendar for motorcycle racers, as well as endurance racing, and touring cars. For anyone that attempts to navigate their way around the track at top speeds, it’s all about bravado – keeping your foot down regardless of what might happen. That’s what makes the track special, the challenge it continues to present, regardless of what ghosts are hiding amongst the nearby trees. That’s all for this episode, thank you for listening. Does Monza hold any special memories for you? Do let me know @sidepodcast or via the contact form at sidepodcast.com/contact. For more about Monaco and Spa, mentioned earlier in this episode, check out the first series of F1 Circuits Past and Present, which features those two and many more. Join me here again tomorrow for another circuit to add to the list!